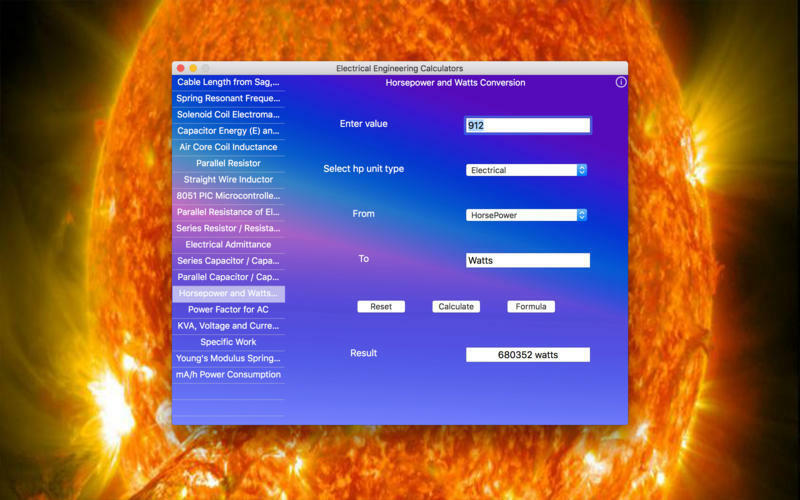 Simplifies calculations for electrical engineering. Is there a better alternative to Electrical Engineering Calculators? 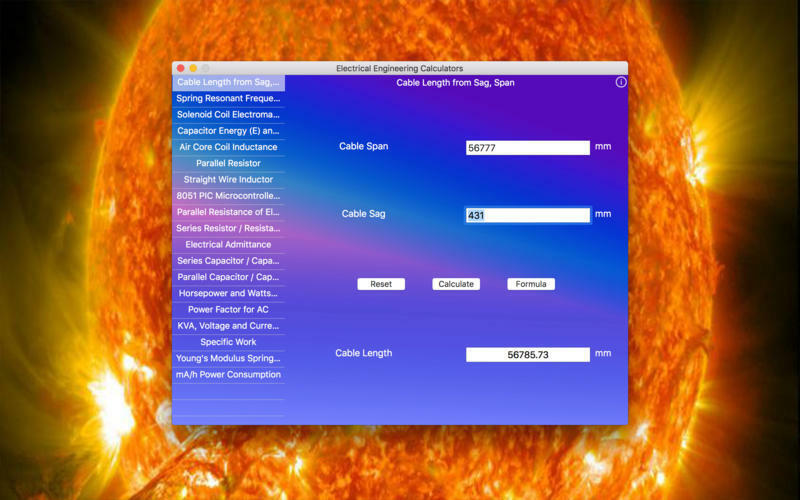 Is Electrical Engineering Calculators really the best app in Mathematics category? 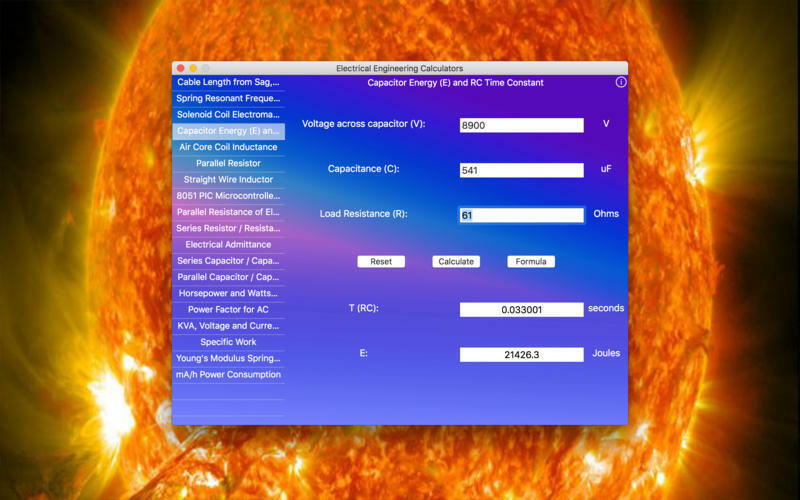 Will Electrical Engineering Calculators work good on macOS 10.13.4? 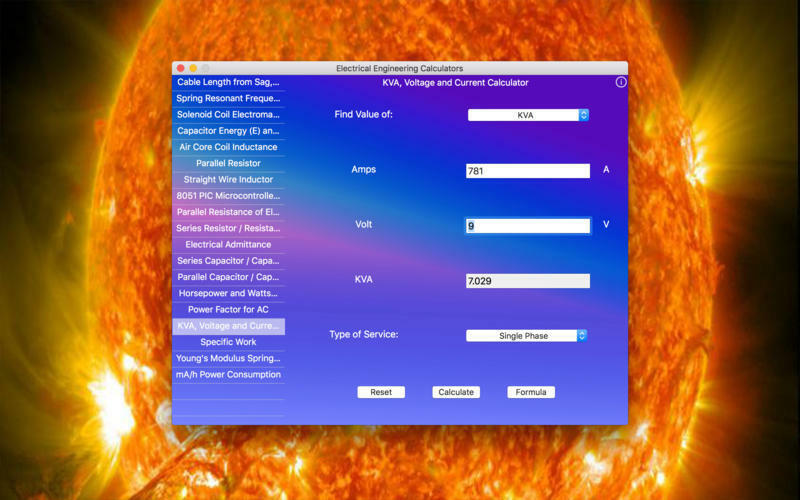 Electrical Engineering Calculators comprises a selection of 18 different calculators that will simplify calculations which have given you headaches so far. 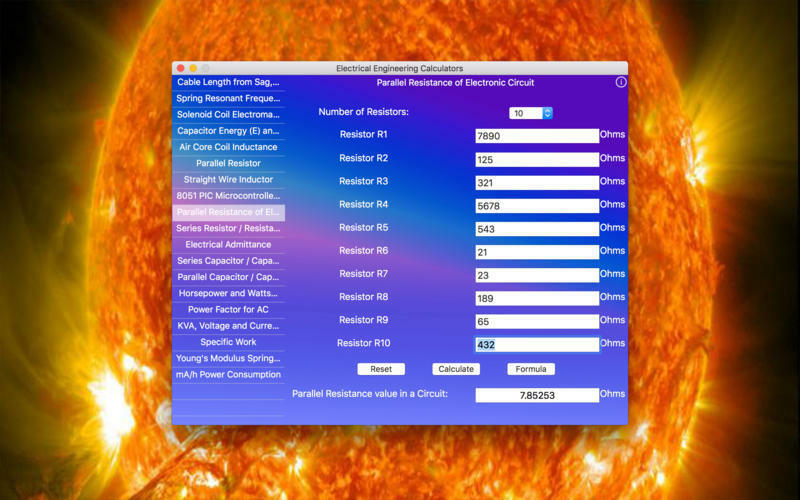 Complex calculations, such as Parallel Resistor, Electrical Admittance and others listed below will be handled easily with this app. Electrical Engineering Calculators needs a review. Be the first to review this app and get the discussion started! Electrical Engineering Calculators needs a rating. Be the first to rate this app and get the discussion started! If you have any question please contact us: veghferencrobert@yahoo.com.